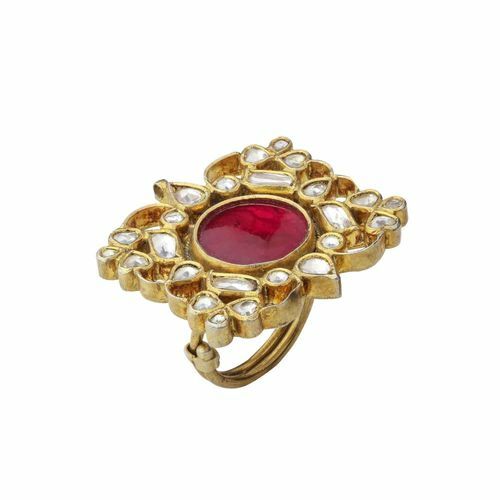 A beautiful, translucent pink stone cut into a large circle sits poised with grace at the centre of this magnificent kundan ring. 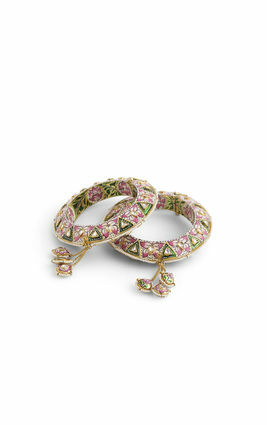 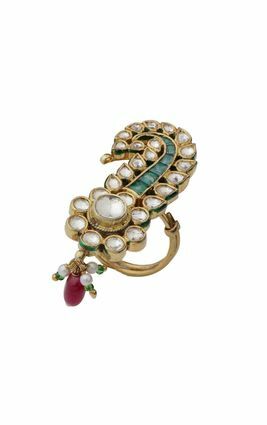 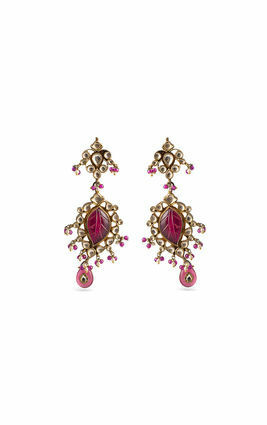 The centrepiece is surrounded by delicate white kundan stones set in gold polished silver. 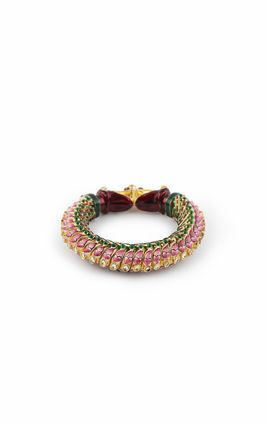 This adjustable ring is handmade by local artisans. 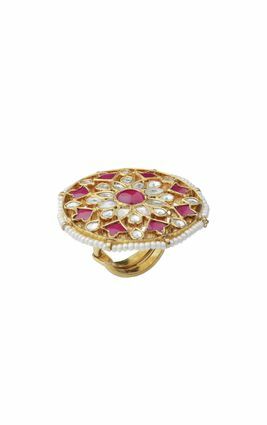 A beautiful, translucent pink stone cut into a large circle sits poised with grace at the centre of this magnificent kundan ring. 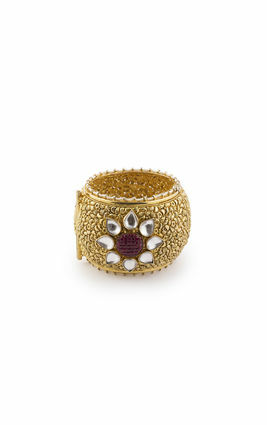 The centrepiece is surrounded by delicate white kundan stones set in gold polished silver. 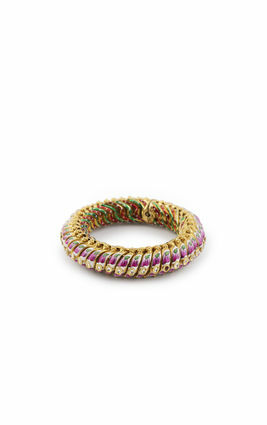 This adjustable ring is handmade by local artisans.